Less than 10 days after Ontario decided to hop aboard MMA’s ever-growing bandwagon, The Associated Press is reporting that The Canadian Medical Association will indeed request a ban on the popular, yet violent, sport. NIAGARA FALLS, Ontario – The Canadian Medical Association is calling for a ban on mixed martial arts in Canada. Delegates at the annual meeting voted Wednesday to have the doctors group seek a government ban on the sport. The vote came after often contentious debate among 250 doctors at the meeting in Niagara Falls. Those in favor of banning the sport say it puts fighters at risk of severe head trauma and other injuries that could have lifelong effects. They argue that unlike sports such as hockey and skiing, the intent of mixed martial arts is to incapacitate one’s opponent. Seven provinces in Canada sanction mixed martial arts prize fighting. 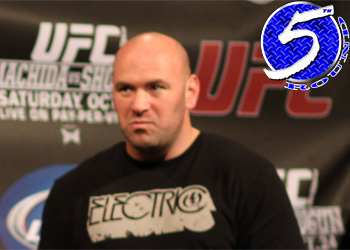 The Ontario government recently changed its stance and will allow mixed martial arts in 2011. UFC vice president of regulatory affairs Marc Ratner previously told Sherdog.com that it was possible the board would look to eliminate the sport in Canada. However, Ratner was hoping a crash course in MMA 101 would do the trick. “We need to sit down with them and educate them,” Ratner stated. “We need to have them talk to several doctors and show them the reports. The worst thing they can do to MMA is to drive it underground. If you have fights with no doctors, insurance or properly trained officials, that’s the worst thing that could happen. Mixed martial arts is currently sanctioned in 44 states in the U.S. New York, West Virginia and Vermont all have commissions, but have opted to shun MMA. Connecticut, Alaska and Wyoming do not have athletic commissions. No word on what the next move is for either The Canadian Medical Association or Octagon brass, who are currently in Boston to in preparation for Saturday’s highly anticipated UFC 118 event. It marks the UFC’s first show in Beantown.